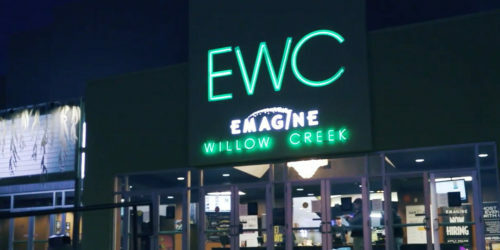 Emagine Willow Creek is off of Highway 169 just south of Highway 55, next to the Willow Grove center shopping plaza at 9900 Shelard Parkway Plymouth, MN 55441. Luxury Seating – At Emagine Willow Creek, all of our seats are luxury charcoal leather power recliners to ensure that our guests are as comfortable as possible. Stadium Seating – All 12 of our theatre rooms feature stadium seating, which means you have the best and most comfortable movie watching experience. Theatre Bar – A full-service bar with wine, beer on tap including local selections, and cocktail service to your reserved seat on Friday & Saturday nights from 6:00 p.m. – close. Birthday Parties – We do birthdays right at Emagine Willow Creek. Host your friends and family at your next birthday party and have an event that everyone loves! Private Theatre Rentals – Private theatre auditoriums are available for private rentals at Emagine Willow Creek. See more details here.